All technical information and much more you find in „Download“. Enjoy. Much more news you find on FACEBOOK. 5.16 MK II is out now. 7.16 MK III is out now. It was a lot of work to bring very good drivers to a new level of performance. Same productphilosophy, same design, but improved technical details. We welcome our new, professional distributor in TURKEY. We move the company to a new location in August. Because of this and the summerholiday in Germany, the service and sales slow down until end of August. Sorry in advance. The downloadproblem shoud be fixed. I set up a sipmle dropbox, storing all the PDF´s. Hope it works for all of you. Also the CONTACT menue is updated ! 2011 was a succesful year. I would like to say THANKS to my partners all over the world. We also modified our datsheets to make installation easier.. Comments are welcome ! Others forget to work on their products..
Christmas is coming soon. Christmas is my „End of the year“.. I´d like to welcome you in a good 2012 ! We got the very special „Editor´s Choice“ price. Thanks to the mega good team in HK. A distributor in Portugal is in the chain. New Video´s added. Have a look. Completed all availible data. Download´s are working again. Sorry for unconvinience. In the last days i refreshed all availible data. Please have a look at the PDF´s..
All datas can be found also in the downloadarea. I know.. There was some time no news.. Sorry.. We worked a long time on the Z-Monitor Projekt to start the production of the 3-Way´s for studio and mastering. One important part is ready since today. The Z-Studio 245 is completed. From the basketconstruction to the complete speaker was 7 months of work. With the result i am 110% satisfied. The highest bassdynamic and the fastest accelleration we ever heard. Mechanical stability and precision is „State of the Art“ produced on the worlds finest CNC-Machines.. Click & enjoy the picture.. Excellent result for the competition in Malaysia. 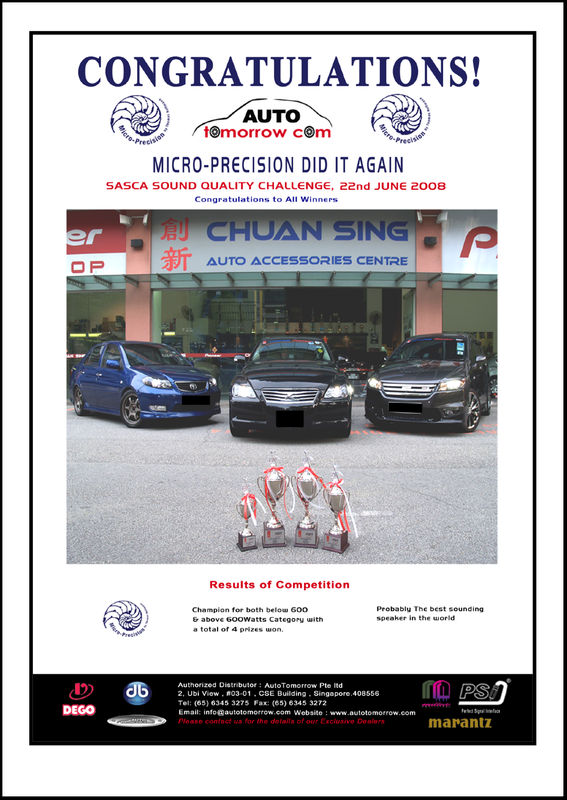 Thanks to the winning team and to all the other competitors who use Micro-Precision. 3 Series speakers, PSI Cables and a top install are a real good combination. A combination to win & enjoy every day. The crossovers say good bye to the old cablebridges. With some new high current jumpers from Switzerland it´s much easier to choose the tweeterlevel. This effects 3, 5, 7 and Z 2-Way´s. Values stay the same. The competition in the Phillipines is going very well. 5 cars got 4 trophys and one champion ! Congratulation from the productionteam in Germany to the competitionteam in the Phillipines ! Here you can find some pictures from the event. The Z-Studio-245 basket is there.. This will complete the Z-Studiorange. Tweeter, 5 inch, 6.5 inch and at least the10 inch. A nice group for an exciting picture. 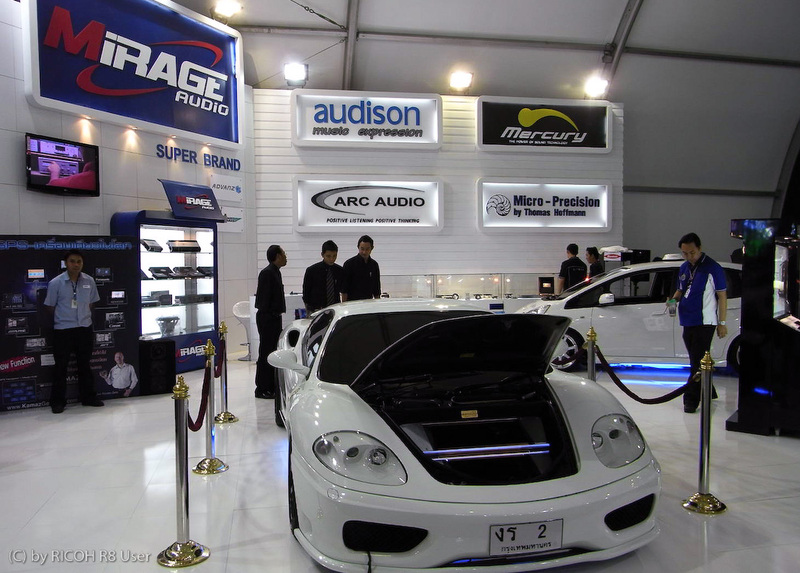 Micro-Precision is represented by MIRAGE on the Thailand Motorshow. Thanks for this great job. New Webdesign provides more possibilities for us. We hope you like it.. Excellent Result in the Thailand-Competition. 1st place for Mr.Chuthai Pholsuwan. Also something about MIRAGE AUDIO in Thailand. Excellent Result in the Phillipines-Competition. 1st place for Mr. Bryan Gasataya. Excellent Result in the Thailand-Competition. Have a look. The Z-Studio-130 is there. Afther a few months of CNC programming, we found the best geometrie. No compromise at all. Only the finest materials are used for the Z-Studios..
Z-Studio-245 - In exploration.. a hard job. With the help of Google-Earth we want to set up a map with all Micro-Precision Shops. This would help a custumer to find his local dealer. and a picture(s) from the shop. This example shows the international distributors. Excellent result for the competitionteam in Italy. 2-Champions with 2 cars... Best whishes for the next SQ-Challenge.. in Italy. Excellent result for the competitionteam in the far east. 3 cars, 3 trophys. Best whishes for the next SQ-Challenge.. The latest news you can find in the category -Pro-Audio- in the menue. In the last months we worked on the Z-Studio-Items. These items are going to be used in the upcoming Z-Studio-Monitor´s and in the Z-Studio-Monitor-Active. Until today, the Tweeter and the Z-170-Studio element, is ready. The Z-130-Studio and a Z-245-Studio is in progress. When they are finished, we have 4 items to produce a real professional Pro-Audio item. The Z-Studio-Tweeter is there. Afther 3 years of research and thousend changes, the idea works. The dimensions are now online. All kind of downloads are now in one -Downloadcenter-. Please check the downloadarea. The Z 100 is availible in the new version. Have a look and enjoy. Back from the far east, Singapure, i would like to say -thanks- to all the people, who´ll gave me the possibillity to work with them. Many thanks to Bobby & Team. They made a very professional job. All of them helped our brand and the products to be known and respected in the exciting world of Asia. The 12.000 km trip was not easy, but it was worth every minute. Later i will add some pictures from my private Asiaimpression.. The 7.28 MK II is now availble in a new version. The MK II was 7 years in produktion. The improovements could be done by using one of the world´s finest CNC-Machines. The new insidestructure of the housing made the following improovements possible. 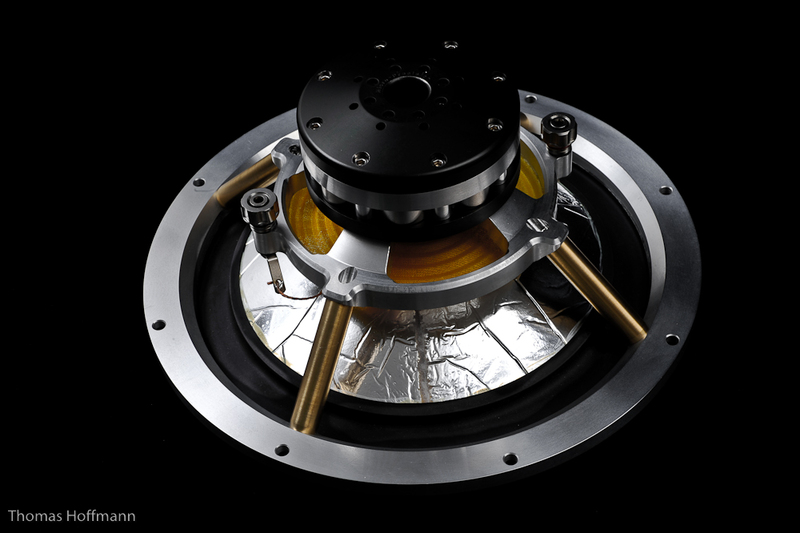 The new type of mounting for the magnetsystem results a better step-funktion. The housing is damped with "Bitumen" inside. The terminal has a stronger mounting. The installdepth is 3mm less. The finish is improoved by a very nice bottom. Membrane and magnet are not changed. The 7.28 MK II is still availible. The 5.20 Tweeter has a new design. It is familar to the 5.28 and 7.28. The outer diameter has changed 0.6 mm. The soundquality is improoved by using our hexagongrill. 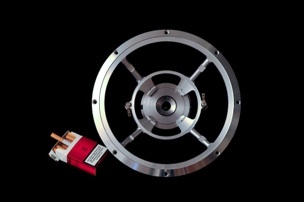 Outer diameter : 44.8 mm. Mountinghole : 33.1 mm. Mountingdeepth : 10.0 mm. We welcome the new distributor in Singapore. Please have a look. We decided to discontinue with the "High End" Slogan on our websites. To many products are advertized with this slogan without having any reqirement. Our productrange is made for an individual owner. An owner with knowledge. Not blended by marketingmachines. Welcome to the new attitude. Comments welcome. The Z-170 Limited is availible now. 50 pairs max. worldwide. The new High-Low adapter is availible. Please check the PDF.